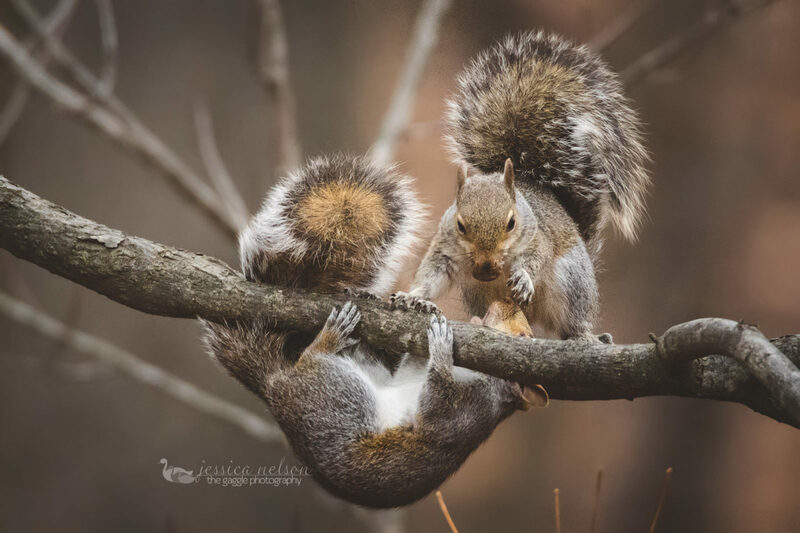 Two squirrels bicker over some food. Look at this guy hanging upside down. I think he was trying to steal the acorn but he wasn't successful.